Even in reinventing itself, Dopo stays true to its focus on simple, soulful Italian food. Bert Johnson The best way to dine at Dopo is to make the spread of antipasti the focal point of the meal. Hours: Mon.–Fri. 11:30 a.m.–2:30 p.m., Mon.–Thu. 5:30–10 p.m., Fri.–Sat. 5:30–11 p.m.
Twelve years is a lifetime in the restaurant business, and for many of those years, Dopo has been my gold standard for rustic Italian cuisine in the East Bay. Newcomers, boasting glitzier dining rooms and more obscure regional specialties, have come and gone. But few have matched Dopo's casual, neighborhood-y charm, and even fewer, the excellence — and the consistency — of the food that comes out of that Piedmont Avenue kitchen every night. So when chef-owner Jon Smulewitz announced a couple months ago that the restaurant would shift gears and adopt an all-Sicilian menu, and, at least unofficially, change its name to "Palmento a Dopo," I thought, why mess with a winning formula? The truth is that the new menu is not a sea change. Smulewitz has always had a soft spot for Sicilian food. He cites the big family dinners that his Sicilian grandparents hosted when he was growing up in New Jersey as one of his major influences, and, amid its broader focus on regional Italian cuisine, Dopo has always featured some Sicilian dishes. In fact, every year, Smulewitz travels to Sicily, a large island off the southwestern coast of Italy — the "toe" of Italy's boot-shape outline. He said he was so inspired by his most recent trip that when he came home, he told co-chef Joey Rachel, "Let's just go all-in on this." One of the deciding factors, Smulewitz said, was the explosion of small-scale Sicilian wine producers in recent years, which has allowed him to put together an all-Sicilian list full of interesting wines by the glass you're unlikely to find at any other Italian restaurant in town. Hence the name. Palmentos, Smulewitz explained, are a kind of traditional grape press and wine-making facility found in Sicily. Although palmentos are now technically illegal, the idea behind them is still alive: to allow grapes to ferment in uncovered troughs in a natural, unmitigated process, so that each year's vintage represents what wine geeks refer to as its terroir — a grape-growing region's particular geography and climate — in an unfiltered way. There is a similar purity and uncompromising quality to Dopo's food, which remains reliably good, but with a new, Sicilian-inspired spark. This is a cuisine that's known for its bold flavors and, thanks to the island's turbulent colonial history, a breadth of varied influences: Greek, French, North African, and Spanish. It's a cuisine that features sweet-and-sour flavors, citrus fruits, and atypical Italian ingredients, including cinnamon and raisins. You see the Sicilian imprint most clearly in the revamped, daily-changing cold and hot antipasti section of the menu, not just in the substance of the selections offered, but also the style in which they're served — an extended sequence of tiny plates, each one consisting of no more than a couple of bites, which made for an eating experience somewhat akin to the lavish spread of banchan (i.e., little side dishes) at the start of a Korean meal. During one visit, highlights from a sequence of cold antipasti included a refreshing and very spring-like plate of chilled cuttlefish tossed with fava beans and little nubs of ricotta salata cheese, and a mushroom conserva that featured meaty chunks of porcini mushroom in a vinegary, sweet-and-sour sauce — echoing the flavors of a caponata, perhaps the most iconic Sicilian dish. Cold roasted kohlrabi dusted with orange zest was a revelation — pale-green, melon-like cubes that burst with the juiciness of stewed daikon radish. But my favorite bite might have been the simplest: A plate of airy-light, but incredibly rich, fresh ricotta — a cheese that is the pride and joy of any Sicilian kitchen worth its salt, according to Smulewitz. Ask for plenty of bread so you can scoop up every bit. The hot antipasti included several dishes that were new to me: scaccia, a kind of layered, olive oil-rich flatbread that's baked in the oven, like a cross between lasagna and a pepperoni roll. Sand dab fritelle were silver-dollar-size pancakes that had a crisp-edged floppiness that reminded me of zucchini pancakes. Another cuttlefish dish featured a sauce made from the cephalopod's ink — a deep ocean murkiness lightened by fresh mint. And then there was a sequence of fried balls: classic arancini, or fried risotto balls, a dish that originates in Sicily, and timbaletti, a cheesy mixture of short pasta tubes rolled into balls, battered, and fried. According to Smulewitz, this kind of appetizer spread makes up the biggest part of any traditional Sicilian meal, in contrast to the American approach of building up to a large-portioned entrée. 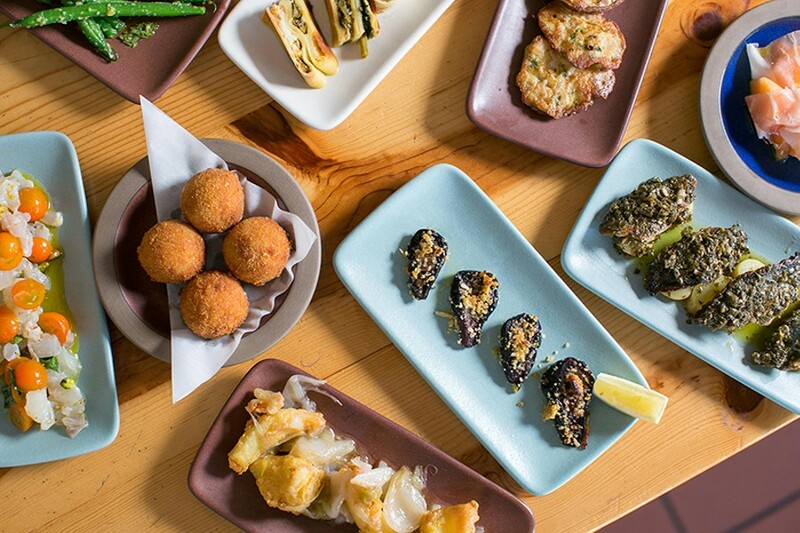 In Sicily, he said, it's not uncommon to make an entire meal of antipasti, or for a family to follow that up by splitting a pasta dish or a single entrée — which, not coincidentally, is probably the best way to dine at Dopo. Some diners may find that to be a steep price for what ultimately doesn't feel like a ton of food. You get the dishes one or two at a time, not all at once — say, on a wooden board, with a stack of bread and a handful of pretty garnishes, which would feel and, perhaps even more significantly in the age of Instagram, would at least look more abundant. But one of Dopo's calling cards has always been how little attention the restaurant has paid to unnecessarily artful presentation. The food is meant to be rustic, and the plating style, at times, borders on ascetic: two naked fritters rolling around on a plate, with nary an herb sprig for garnish. In the end, I have to respect the audacity of the approach — one that prioritizes getting those timbaletti to your table hot instead of making them look pretty. One last note on value: Dopo is one of a handful of restaurants in Oakland that have recently eliminated tipping. So you might gulp when you see that an order of gelato, for instance, costs a whopping $12 — at least until you do the little internal calculation and subtract the standard 20 percent tip. Okay, that's still pretty expensive for gelato, but on the whole, the prices are on par with other nice Italian restaurants in the East Bay. 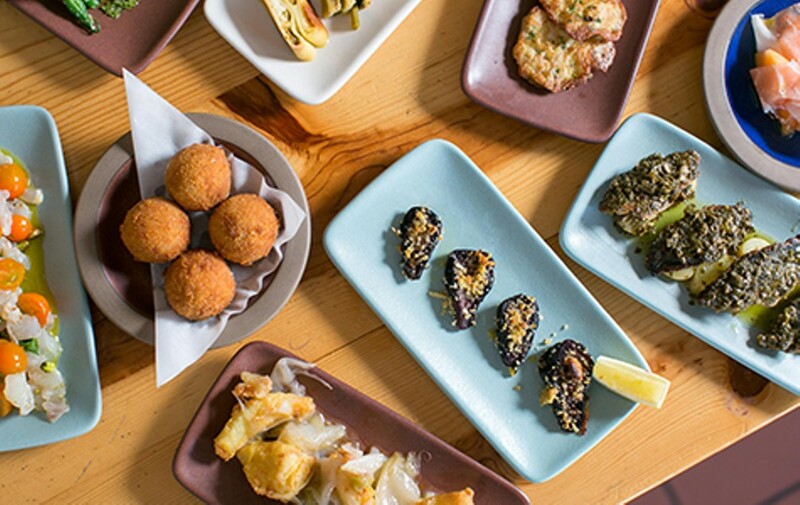 Another new feature at Dopo is a tasting menu option — sonno nelle tue mani ("I'm in your hands") — for $75, which includes all of the antipasti, small portions of a couple of pastas and entrées, dessert, and a digestif. If that's too rich for your blood, you can dine well by heeding Smulewitz's advice, and following up your antipasti with a couple of pasta dishes (conveniently available in half portions), or maybe one of the (not strictly Sicilian-style) thin-crust pizzas. The pasta dishes are, in truth, some of the best in town — and they're all the more interesting now with the Sicilian focus. One ravioli dish was dusted with grated chocolate — a specialty of the coastal city of Modica. Seafood-filled pasta is a Sicilian staple, so another ravioli was filled with rock cod and garnished with pistachios. My favorite was a penne dish with a delicious fennel cream sauce, whose sweet, herbaceous flavor was echoed in slices of fennel-infused salami. The entrée selection, meanwhile, is limited to about three options a night. The grilled sausage with broccoli rabe featured a slightly spicy house-made sausage that was enjoyable enough, but perhaps disappointingly basic if you structured your meal in the more American style, with the entrée as the focal point. Much more decadent was the polpette all'Etna: rich chicken-and-pancetta meatballs cooked between citrus leaves in order to preserve moisture and absorb the citrus fragrance. For dessert, this is a good time of year to enjoy a Sicilian-style granita — a very smooth, delicate flavored ice, topped with a layer of whipped cream so that, if you get the orange one, you wind up with the flavors of an creamsicle. What other specialties will find their way on Palmento a Dopo's constantly changing menu? The only rule, Smulewitz said, is that whatever he serves has to represent the island. Sicily is only about 10,000 square miles in size — smaller than Massachusetts. But the cuisine is so varied, and so dear to his heart, Smulewitz doesn't expect he'll ever get bored.